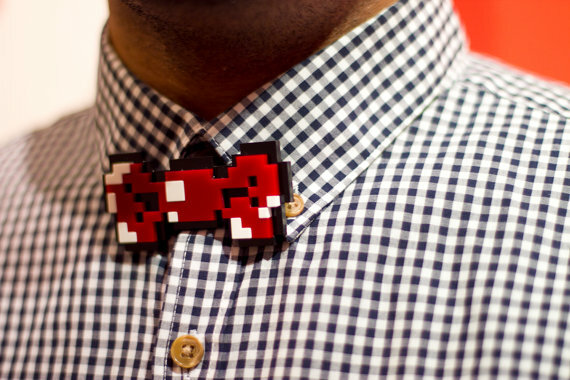 Fancy giving yourself a bit of a retro makeover? Perhaps getting an accessory like this 8-Bit bow tie is the way forward first. 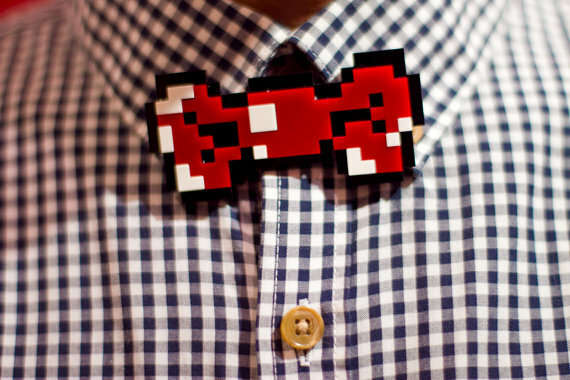 Made by Nelson Sanchez of 'Clever Trevor's Accessories', this 8-Bit bow tie has been made from shiny acrylic plastic, and looks like it has been ripped straight from an old game.